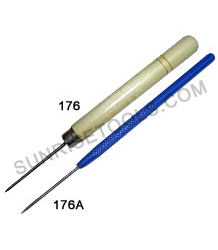 Description :- Wood handle with sharp pointed tip for placing, holding and positioning solder in just the right place. 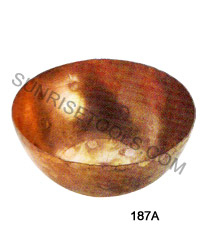 For gold and silver soldering with a titanium tip. 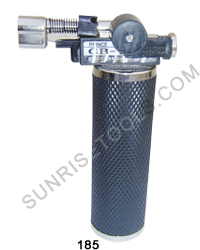 Description :- It has titanium machined tip makes it last longer. 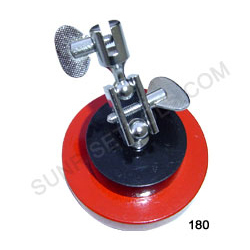 It is used to collect the exact amount of solder for a precise application. 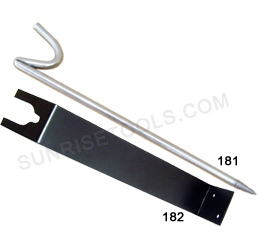 Grooved aluminum handle, designed to quickly transfer heat away from operator. Set of 3 Pcs. Different colors. 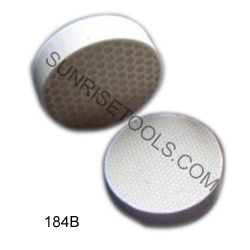 Description :- Screen Mesh With Tripod is Ideal for forming bezels and soldering edges to create an enclosed circle. 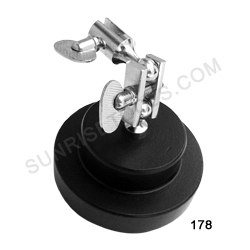 Also makes heating from all directions easy as your piece remains level. 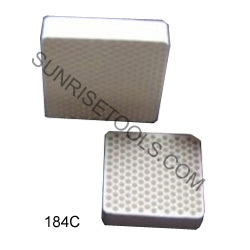 177A screen mesh only 6" X 6"
Description :- Rubber base third hand is perfect for small soldering jobs and also used for holding tweezers to hold items while working. Ideal with slide or self locking tweezers. 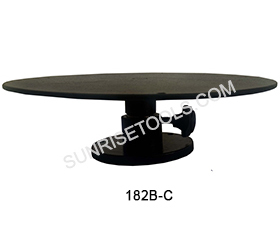 Constructed from superior material for lasting long. 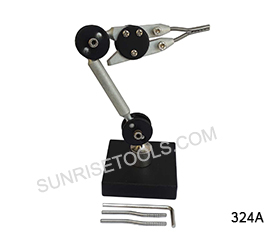 Description :- Third hand base Special quality with heavy marble base with a stable magnetic ball-joint attachment, which allow the user to keep the tweezers hands-free in his direction of his choice and work easily. 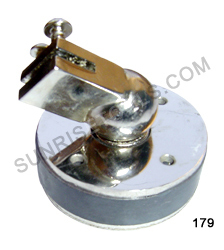 Description :- Third hand base can be used with tweezers for multitude of purposes watchmaking, soldering, jewellery craft etc. 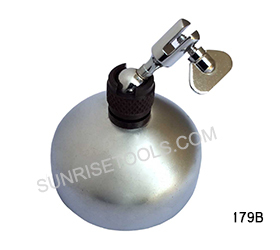 Description :- Holds your torch at the perfect angle, making it handy and safe to use. Also keeps tips conveniently organized. 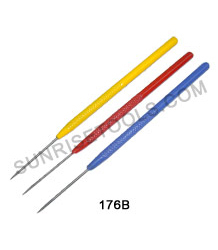 Description :- This handy rod is excellent tool for soldering or repairing rings. 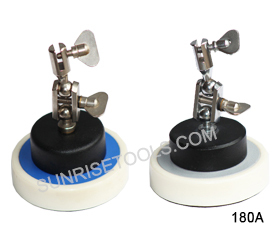 The ceramic soldering rod holds heat longer and more efficiently - cleaner and more efficient than carbon rods. 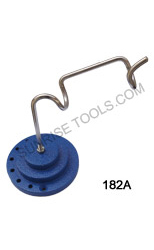 A must have tool for jewelers. 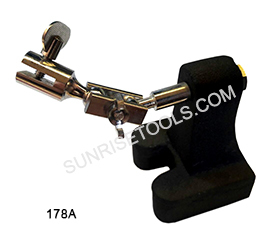 Description :- Through this make repairs and assembly easier by positioning your work exactly where you want it. 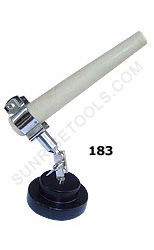 Tapered, hard, replaceable long ceramic rod that holds rings for soldering. 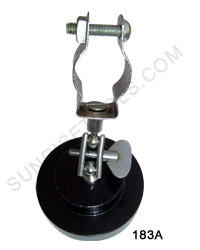 Two pivot joints allow rod to be positioned vertically, horizontally or anywhere in between. 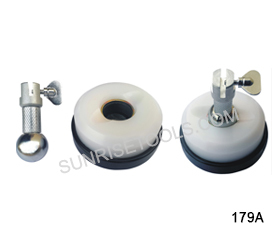 Description :- Tapered hard ceramic rod holds rings for soldering. 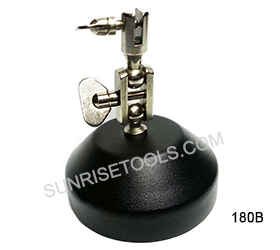 Use with Rotating Base and Soldering Stand. 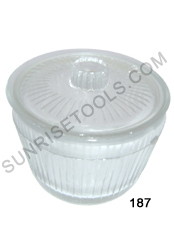 Description :- This clear glass cup is perfect for holding all sorts of solutions from alcohol to benzene and many more. Tight seal prevents evaporation and loss of liquid and also prevents the loss of precious stones in your ultrasonic cleaner. 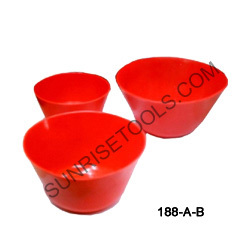 186 Glass alcohol cup with knob outside Diameter 3½"
Description :- Plain alcohol cup for benzene or other solutions. 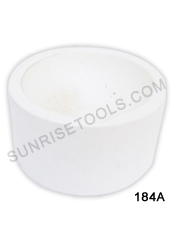 Edges of covers and cups are ground to form a tight seal, keeping dust from entering and protecting solutions from evaporation. 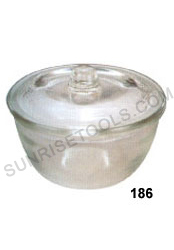 187 Glass alcohol cup with outside diameter 2½" height 2"
188A Rubber Bowl Soft 5"
188B Rubber Bowl Soft 6"